As the new Ford Fiesta range goes on sale with six models below the road tax threshold, their owners will enjoy free parking in Essex. Cars with CO2 emissions under 100g/km, which are already exempt from Vehicle Excise Duty and the London Congestion Charge, benefit from parking free of charge in Essex County Council’s parks. 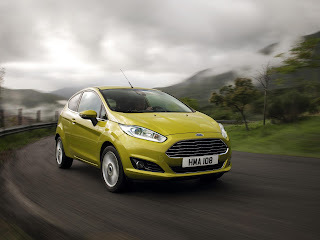 Ford has its UK headquarters, product development centre and production facilities in the county. 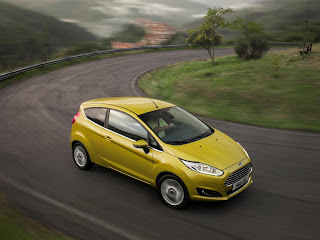 New Ford Fiesta’s three award-winning 1.0-litre petrol, two 1.6 TDCi and 1.5 TDCi diesel engines all emit under 100g CO2/km – equating to fuel economy of between 65.7 and 85.6mpg. Two Ford Fiesta Vans and two Ford Focus models also qualify. All their engines were developed at Ford’s Dunton Technical Centre, near Basildon, where 3,000 engineers are employed, and at Dagenham Diesel Centre, where 3,000 engineers are employed across the two sites. Ford diesel engines are built at Dagenham, which boasts 4,000 employees, and over 1,000 people work at Ford Central Office, in Warley, Brentwood. Essex County Council says that drivers of any car with CO2 emissions of 99g/km or below do not have to pay for parking charges at its nine country parks. They include locations including Hadleigh Country Park, in Benfleet, which hosted the Olympic Games’ mountain biking, and Thorndon Country Park and Weald Country Park, near Brentwood.